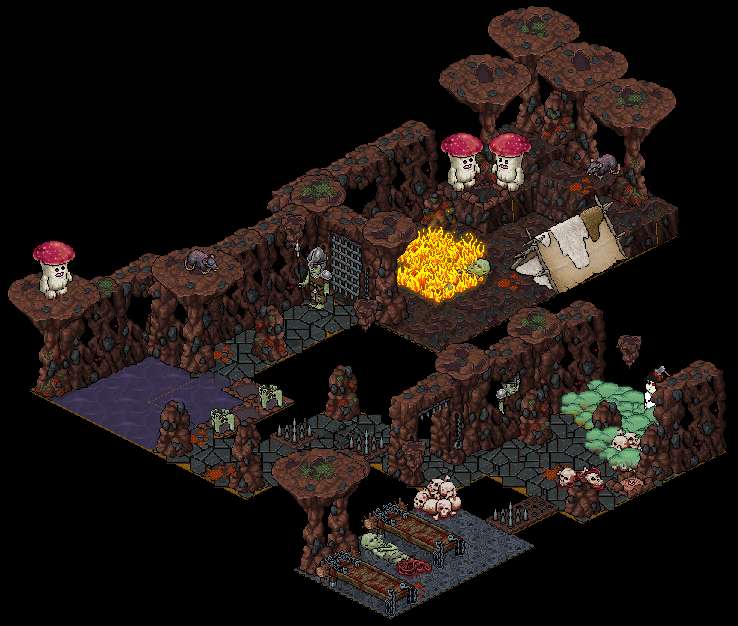 Will you dare enter this cave? 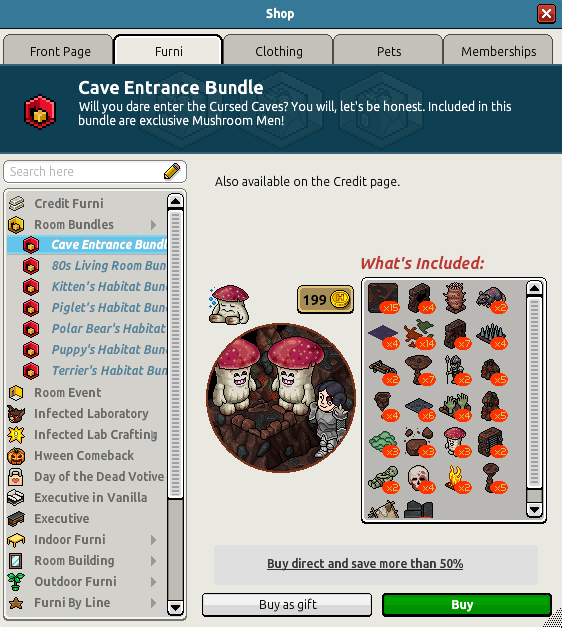 Habbo comes through with a rerelease of yet another bundle. Purchase this in the shop for 199c. Also I'm not necessarily against rereleases but with how easy it is to put together a bundle the LEAST they could do is release it with something otherwise unattainable in it.